The Minibus Driver Awareness Scheme (MiDAS) is a nationally recognised standard for the assessment and training of minibus drivers, coordinated by the Community Transport Association UK. It has been designed to enhance minibus driving standards and promote the safer operation of minibuses. 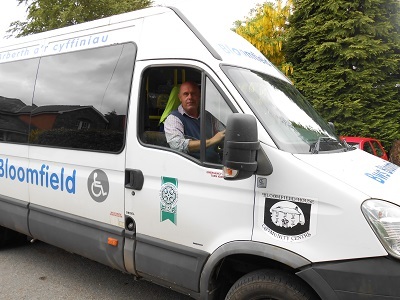 MiDAS is the standard required of all drivers of Pembrokeshire Association of Community Transport Organisations (PACTO) minibuses, Community Education minibuses and other Pembrokeshire County Council minibuses made available for community use. We also assess drivers for groups that use other minibuses, or have their own. What does a MiDAS assessment involve? The assessment starts with a theory and discussion session followed by a multi choice question sheet on the topics covered. You will then complete a practical session, including an assessed drive. A MiDAS assessed drive is not a test. We will give you the guidance needed and will not allow you to drive alone until YOU are confident of the vehicle, equipment and the standard required. On successful completion of both these sessions, you will be awarded a certificate, which is valid for 4 years. Training in loading and securing wheelchairs is included if required. A standard (non-accessible) assessment is available for drivers who will not be carrying wheelchair users or using the lift. There is a £50 charge for the assessment, which includes an instruction manual and your certificate.